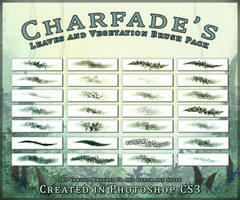 click the "Download" link left page to got the brushes~! 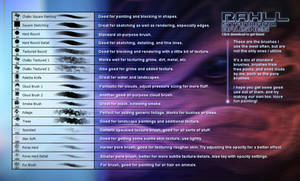 note: you also can load these brushes in Photoshop CS,CS2,CS3. but can't load in Photoshop 6 or lower version, cause "Tool Preset" since Photoshop 7.
once again~! 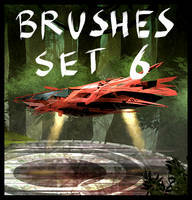 these brushes not ABR file, DO NOT LOAD THEM AS BRUSHES! please use TOOL PRESET. in Mac OS X, maybe the tpl file can't be recognised,cause i creat them on PC. but MAC user still can load them.just copy/paste the tpl file on desktop.then drag it to the dock (Photoshop start icon),after run Photoshop,you will see them in Tool Preset palette,make sure you're on Brush tool.and, you can save the tool presets again on Mac. lovely, thank you so much. 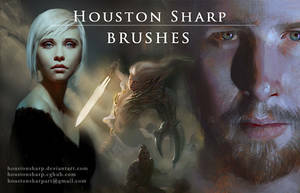 Thanks for the brushes, they are awesome!!! thank you, I will be testing my ability to load tools very shortly! Thanks so much for these man, I can't wait to give them a go! 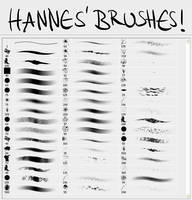 How can I download the brushes??? Plz help! flat smooth oil, I meant. thank you so much !!! it's awesome !!! I put the .zpl file in my 'Tools' folder (cmd+click on PS6, put the file in Adobe PS6/presets/tools), then opened PS, clicked on Window/Tool Presets and ta-dah! 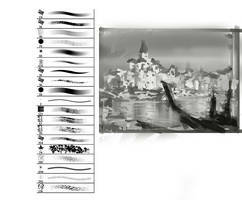 zhu-zhu's brushes. Thank you for these, I just tried them out and they will be very useful! Wow! Chalk, I have been after something like this, and I have tried making it myself but my knowledge of brush making is limited. Thank you for sharing, you're too kind! 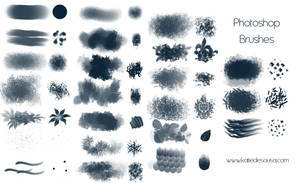 Damn, this is the best PS brush set I have ever seen. I only use Painter, but now I can use both. Thank you very much! Thanks... some real neat tools there! 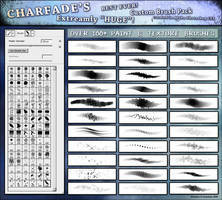 Is there any wy to convert the file and use the brushes in GIMP? I love these brushes, but sadly I can't use them. 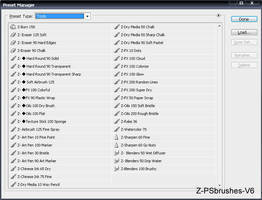 Dude, I love your "z-brush". 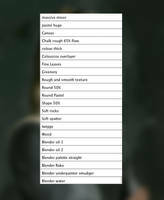 have you a version to Photoshop CS5? In this version I've some problems with "Shape Dynamics" and other effects. Congratulations once again on your Daily Deviation! You've been featured in the August 2011 Resources DD Summary. Thanks for sharing your resources with the community!! Could you put this into ABR format please? I can't download anything in TPL format, my computer says no to it everytime. will htese work with pain ttool sai?? 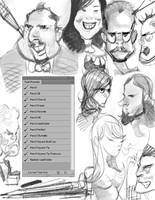 Can I use these on sketch book pro 2011? 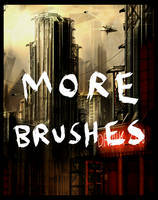 These brushes are absolutely amazing, I love the texture, it feels so natural unlike other brushes I've used. 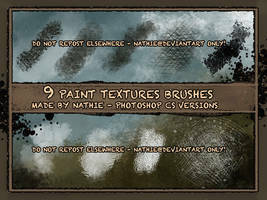 I was wondering though if you require credit/if the brushes can be used in commercial work. Thanks a lot for sharing, they look awesome! Amazing, hope o use these soon! Wow, very nice guy, very well told. Congrats on the DD. And is that theme the Xbox 360 theme for Windows XP? I faved this 'cause of Sparta dude Nice work.